Winter is a fun time to take a vacation. 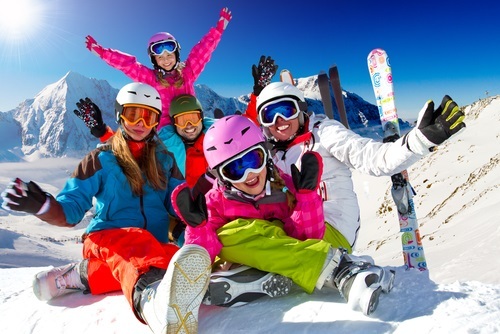 Many families enjoy taking short vacations around the holidays to winter resorts such as the Poconos, Colorado Mountains, or Canada to enjoy seasonal recreational fun such as skiing, snowboarding, and other winter sports. However, even a shorter vacation requires much planning in order to have a safe and successful trip. This is especially true when planning a trip filled with many recreational activities. Here are some tips to help you to make the most of your winter holiday vacation. You can never be too prepared for a vacation. You may think there’s only a few things you need to do especially for a shorter trip, but once you start planning you will see how hectic things can be. In order to keep things from becoming too overwhelming, be sure to give yourself plenty of time to plan. The first step is to decide where you want to go. As soon as you make your decision begin to do research on nearby hotels and resorts. Book early to reserve your spots. Hotels tend to fill up fast in the winter especially around the holidays. Many people hate creating itineraries for trips fearing that it will take away the trip’s spontaneity and excitement. However, by creating an itinerary ahead of time you will be more prepared. What kinds of activities do you and your family absolutely want to do? If you’re planning in participating in activities like snowboarding or skiing then you will need to make sure you have the proper equipment. Some locations may offer rentals, but you may need to purchase some of the outdoor sports gear yourself. As I stated earlier, you can never be too prepared for vacation. Consider what things you will need to take with you. In addition to sporting gear you will also need to plan which clothes to take. Pay attention to the weather forecast to ensure you pack the proper clothing items. Bring extra sets of clothes to be on the safe side. Also, be sure to bring some food and drinks so you won’t have to rely on purchasing all of your meals. Pack a first-aid kit and medications in case anyone ends up getting injured or falling ill during the trip. A vacation is a time to travel to a new or unfamiliar place. Embrace the change by trying new activities, foods, or other things that you wouldn’t normally try. Don’t be afraid of something new or different. While new experiences can sometimes be scary, they can provide a fun and rejuvenating change from your typical day-to-day life. Overcoming a past fear or challenge will also help you to feel more confident. Don’t be afraid to stray away from typical tourist attractions and events. Find out what the locals enjoy doing and vow to try a few of the activities for yourself. You can also try mingling with some of the residents. This is a great way to find interesting hidden restaurants, parks, shops, and other places and things to do that you would otherwise not know about. It’s also a great chance to make a new friend! Are you planning to take a vacation this winter? If so, where are you traveling to? What is your vacation prep routine like?